Why did one disabled vet seek to target the Black Lives Matter movement? Pictured, Scott Lattin. 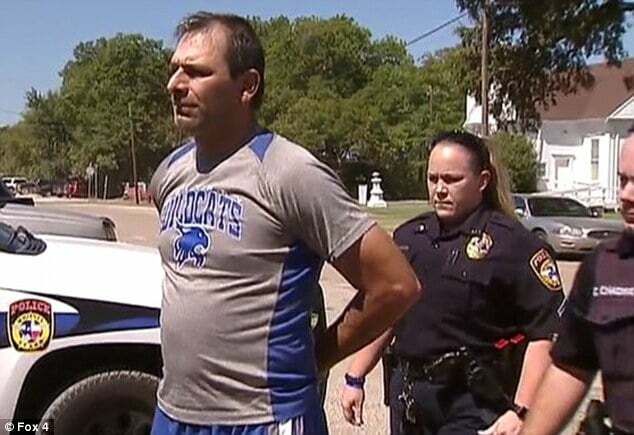 Scott Lattin a disabled Texas veteran has been arrested after claiming his truck was vandalized by supporters of Black Lives Matter when in fact he had vandalized it himself. 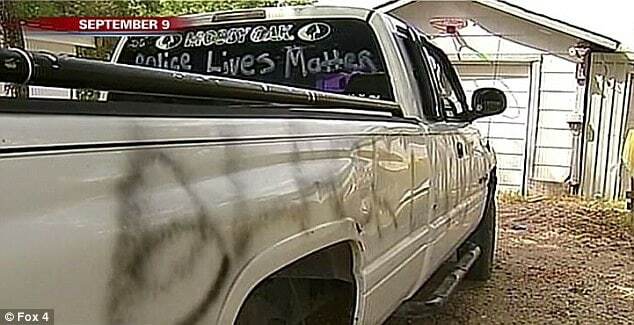 According to a report via Fox 4, the vet initially claimed his pickup was vandalized in ‘retaliation‘ to him painting ‘Police Lives Matter’ on the truck’s back windshield. 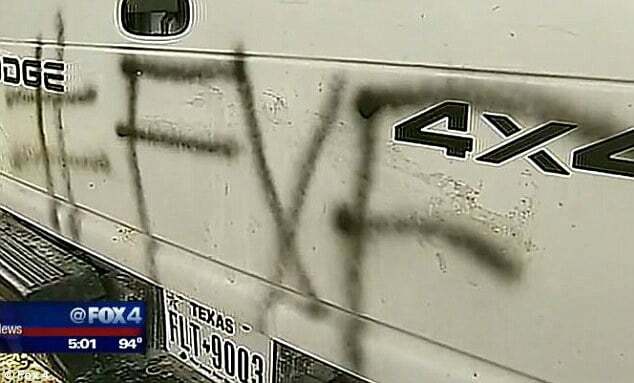 The inside of Lattin’s truck was ruined and the outside was tagged with ‘Black Lives Matter’, graffiti and the hashtag ‘FYF’. Why or who would want to specifically target Lattin wasn’t necessarily understood. Nevertheless police would become suspicious after viewing a news story of the purported vandal which showed the inside of the truck damaged. 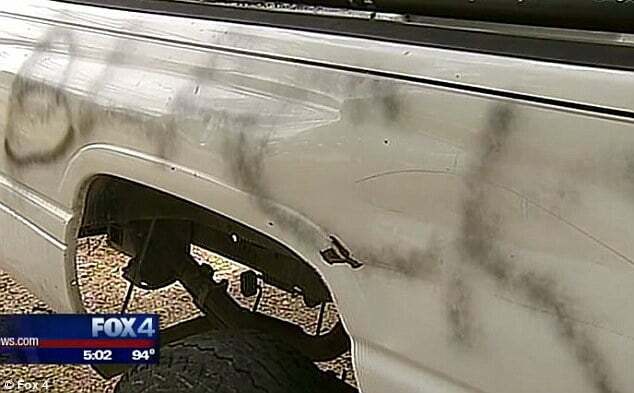 An instance at odds with the fact that when cops initially responded to Lattin’s claim of vandalism, the inside of his truck had been untouched. Lattin, who also had the fence outside his home decorated in support of police, has since publicly denied the allegations, but his arrest warrant noted the disabled vet admitting damaging the inside of the pickup. A GoFundMe was then started in a bid to raise money to pay for repairs to the truck, with the fund managing to raise around $6,000. Yes bigots will always love the plight of another bigot. Since Lattin’s arrest, authorities have sought to have the ill gotten funds returned to donors. Read a note on the fund page: ‘Engage me in a dialogue, don’t destroy my stuff. ‘This is the only truck we have. While filing a false report is only a misdemeanor, authorities have told felony criminal charges could be pending. 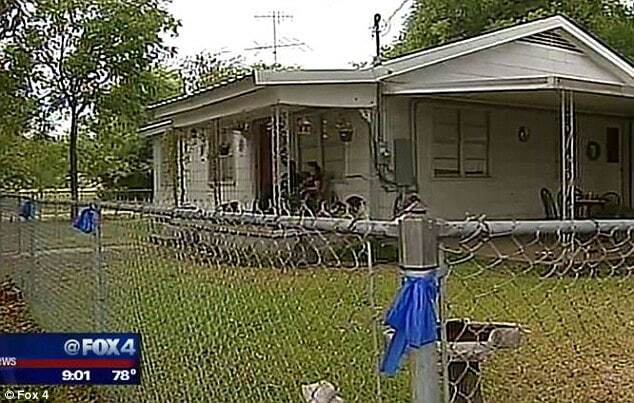 Scott Lattin’s fence around his home also had Police Lives Matter slogans.